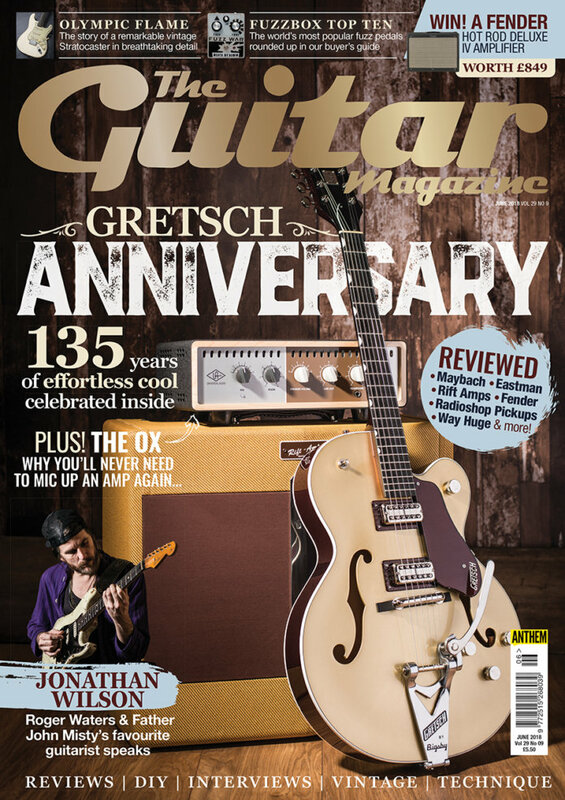 The June 2018 issue of The Guitar Magazine is on sale now! Inside we celebrate 135 years of Gretsch, check out a pair of the company’s sparkling new Anniversary models and trace the history of some of the most famous and affordable guitars ever to deliver ‘That Great Gretsch Tone’. 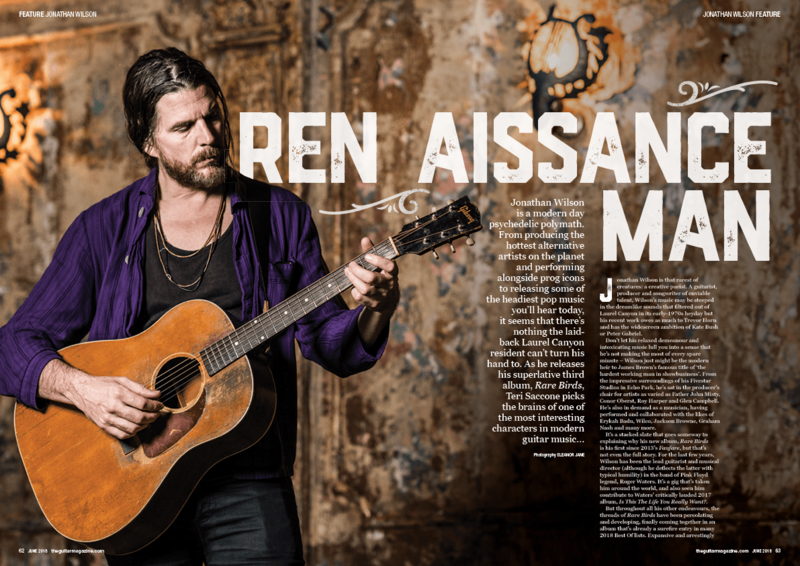 We also find out how Jonathan Wilson became a go-to guitarist and producer for artists as diverse as Roger Waters and Father John Misty and get a close look at his killer live rig. 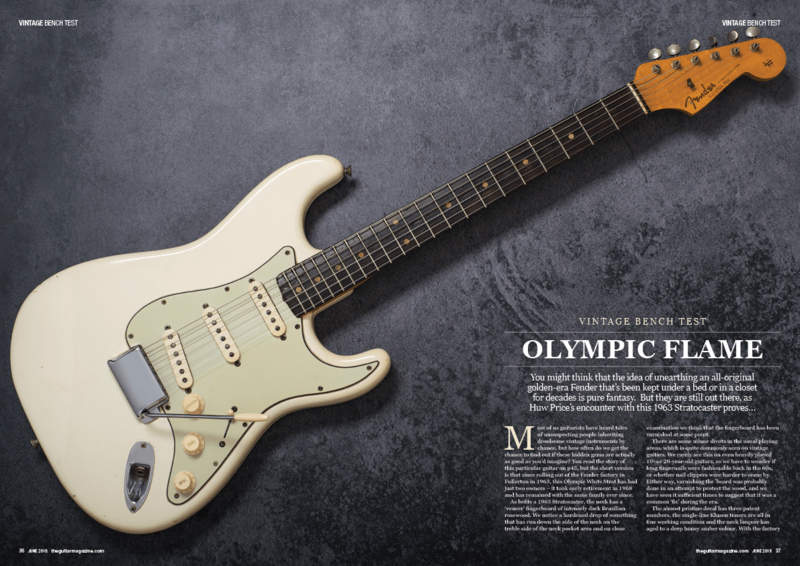 Elsewhere, we get to grips with a breathtaking original Olympic White 1963 Stratocaster, rundown the world’s most popular fuzz pedals in our buyer’s guide and review a host of new gear from the likes of Universal Audio, Maybach, Eastman, Fender, Rift Amps, Way Huge and more. 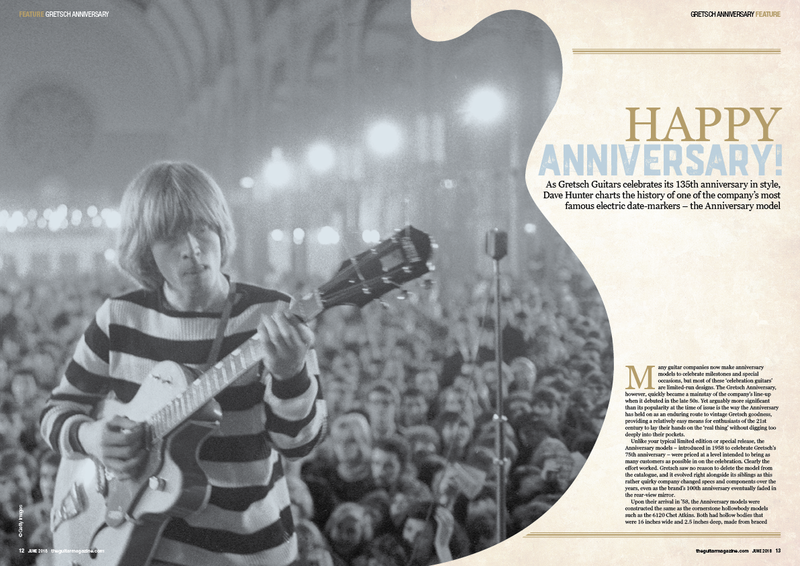 In this jam-packed special edition of the mag we also go behind the scenes with Crimson Guitars, interview the legendary Bill Wyman about the home-made bass that powered early Rolling Stones hits, give a mystery vintage Fender amp a makeover, go into the studio with up-and-coming UK roots duo Ida Mae, salute the genius of former Gibson president Ted McCarty… and give you the chance to win a road-ready Fender Hot Rod Deluxe IV combo worth £849. Phew! 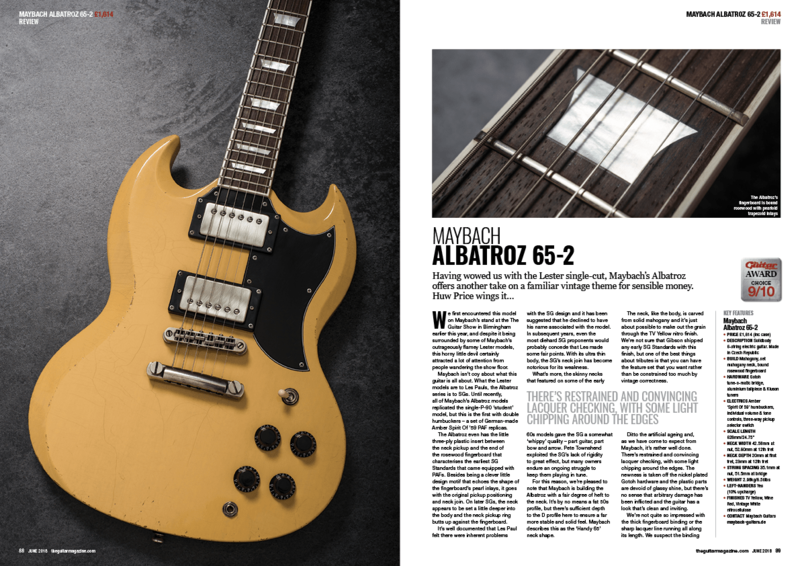 Get your copy of the June 2018 issue of The Guitar Magazine now.